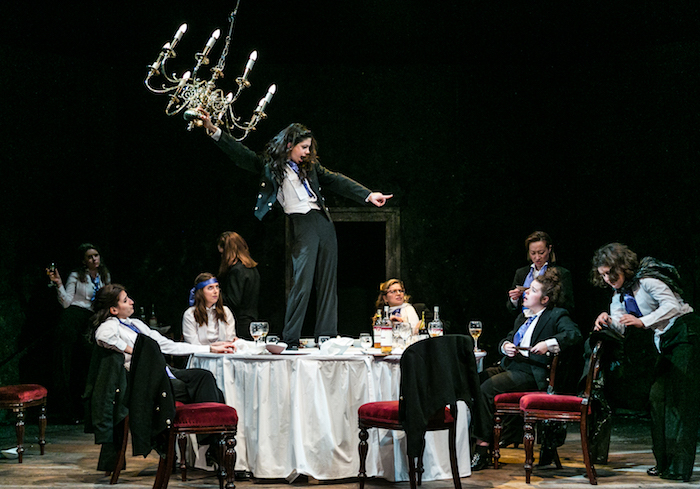 When Laura Wade’s Posh premiered at the Royal Court in 2010, its dark promise that these destructive student toffs – members of the Riot Club, a loosely fictional version of Oxford’s Bullington – would one day run the country had a timely frisson: former club members David Cameron, George Osborne and Boris Johnson occupied Downing Street and the mayoral office respectively. This entry was posted in Journalism, Theatre and tagged broadwayworld, islington, laura wade, pleasance theatre, posh, review, theatre. Bookmark the permalink.